In October 2016, IBM commissioned Forrester Consulting to evaluate the means by which enterprises are managing and securing various endpoint form factors today and how strategies will change over the next three years. 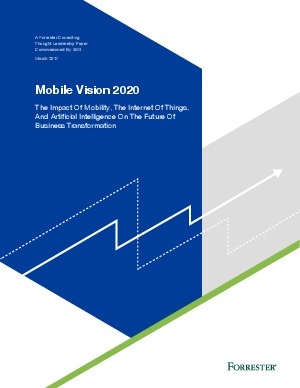 In conducting an in-depth survey of 556 IT and security leaders in the US, the UK, Germany, India, and Australia, Forrester found that while enterprises have a decentralized approach to managing and securing smartphones, tablets, laptops, and IoT today, they will move to a more consolidated and cognitive approach by 2020. Download report to learn more.